Wuerl was heavily criticized after a grand jury report released in August documented widespread sexual abuse of children within Roman Catholic dioceses across the state of Pennsylvania. The two-year investigation uncovered 70 years of claims across the state from more than 1,000 victims that they had suffered abuse by some 300 priests. 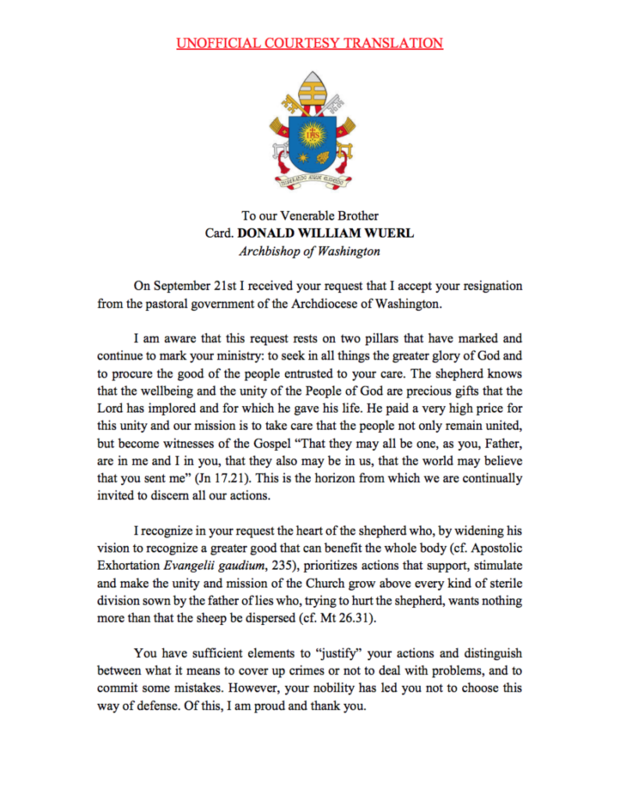 Wuerl, previously the bishop of Pittsburgh, is mentioned several times involving his response to some abuse cases. 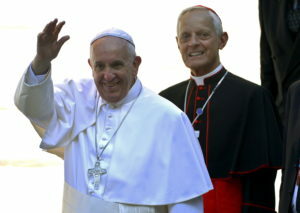 Pope Francis then asked Wuerl to remain in a temporary position until a successor is installed. 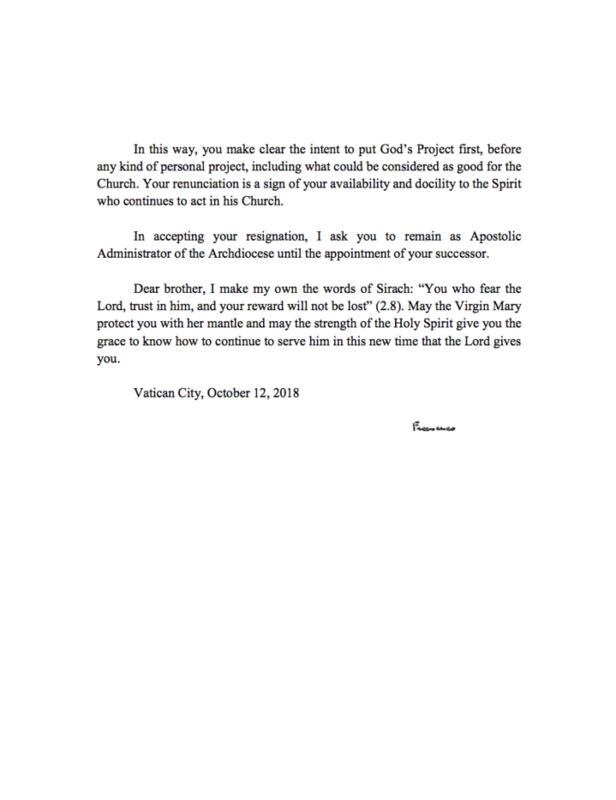 As pointed out by the Pittsburgh Post-Gazette, Pennsylvania Senior Deputy Attorney General Daniel Dye called out on Twitter the pope’s use of the word “mistakes” in the letter. “Well documented, systemic, systematic, calculated, callous, insidious ‘mistakes,'” Dye, who was the lead investigator in the Pennsylvania probe, tweeted.